There are specialized sport shoes for centuries, as other demands on the shoe wear every kind of sport. 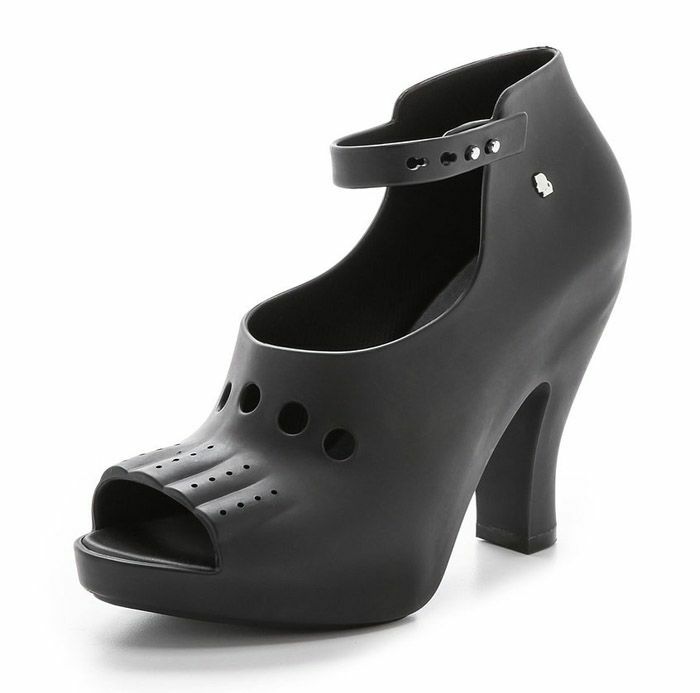 The shoe is one of these special shoes. Our author Bernhard Roetzel calls the requirements for golf shoes and their peculiarities in the Gentleman Blog . 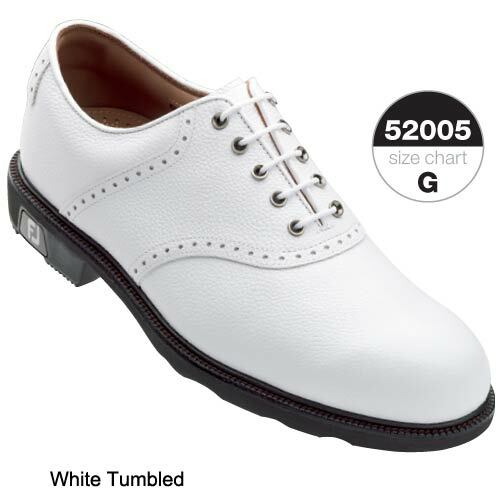 If you now look at the catalogues or websites of the major golf shoe retailers as non-golfers, surprised one of the wide of range of, the variety of the presented models and colors, as well as the sophistication of the equipment. One reads tanned leather upper that is guaranteed completely waterproof without membrane by specifically and exclusively for this manufacturer. Insoles made of PU, so offer polyurethane, the comfort and best damping characteristics the plastic. By midsoles of EVA (ethylene vinyl acetate), a soft and sliding surface give the foot. By a midfoot support element that gives lateral stability in addition the foot during the swing. And so on and so forth. Remove all of these descriptions, what is self-evident for decades, and is only mentioned because the reader may not realize that there is nothing special, remains the impression of high-tech at the foot. And one wonders – as with many modern sports shoes – how the athletes of earlier days in their simple shoes leather or linen on their still substantial also from today’s perspective services were capable of. Important was and is for golf shoes that they are waterproof, because the player constantly is on grass, which can be naturally moist or wet. This water resistance must be as guaranteed by the sole side as on the framework and on all sections of the upper leather. In the early 20th century, when there was still no Gore-Tex or similar synthetic materials, leather golf shoes were made waterproof by fat tanning and the subsequent care with especially waterproofing products. Mostly welted boots to prevent that water can penetrate side between frame and upper, there was a so-called» Welt «added. A special tanning process water, later rubber deck soles protected the leather outsoles first, then the leather soles were replaced with rubber soles. Just got the foot through the upper design tightly surrounding him and the correspondingly stable caps on the heel. 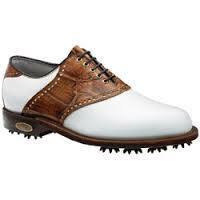 What is available today in addition, is certainly useful and helpful, but the increase compared to the traditional golf shoe of rahmengenähter style is not extraordinary. The design of the golf shoes today often follows the look of leisure sneakers and shoes from other sports. 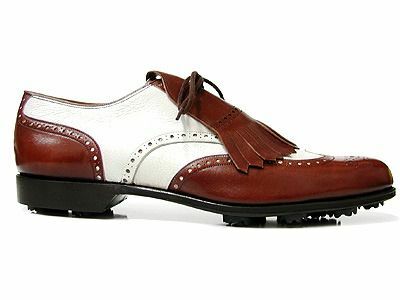 «Nevertheless also still golf shoes, can be found on the two classic» Sattelschuh «and»Brogue«lean. The two colors, which is offered at the cutting of the upper leather of both models, is still very popular. 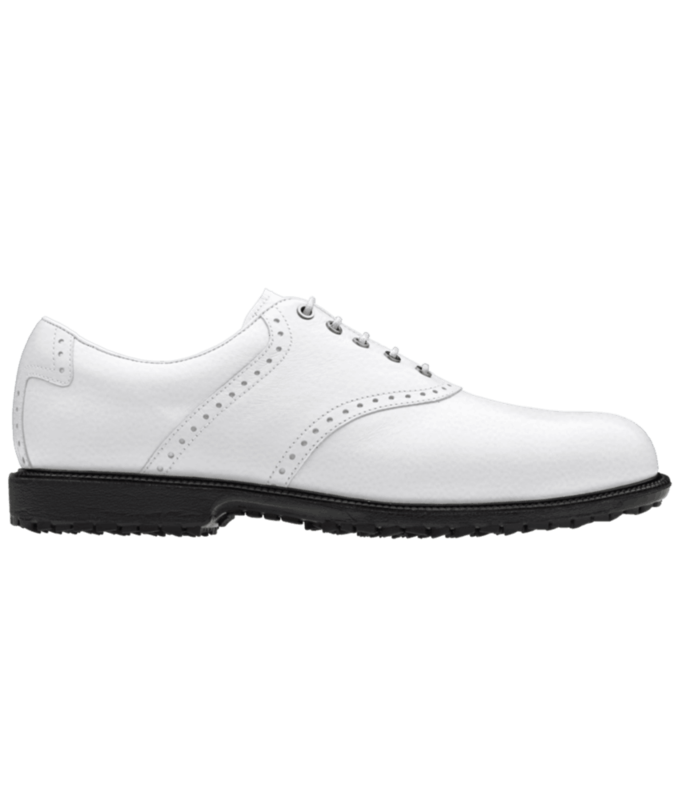 The bi-color Sattelschuh is the basic model of many golf shoes, it can be additionally equipped with the wing cap of the Brogues, says INSURANCEJUST. The range of leather and colour combinations is large, as evidenced by the range of the US manufacturer’s all Edmonds . A golf shoe must be stop. That’s why the welted construction for this sport is suitable. The soles of the golf shoe must allow players to anchor themselves with their feet in the grass. On top of that, they must be watertight. 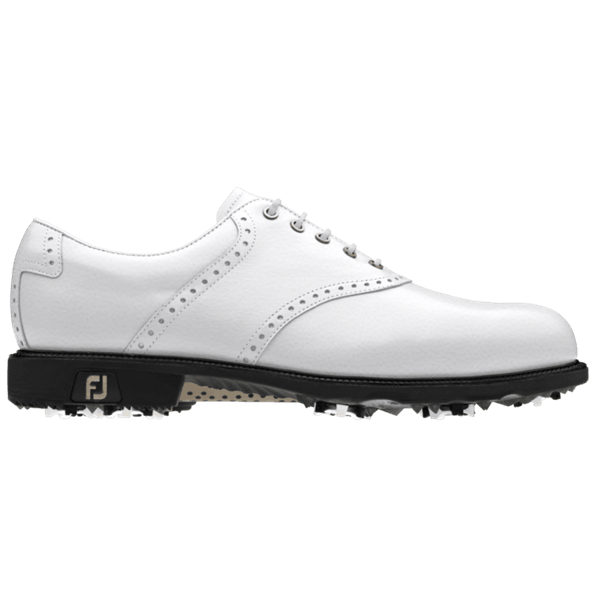 The design of some golf shoes has a very classic on modern shoe buyer. But the shoes from the traditional leather upper work including the pictured model by Eduard Meier. The welted construction gives the foot hold, the sewn plastic outer sole is waterproof and can be changed. The extended and laid over the lace tongue (called» kilty «») to prevent that the laces somewhere stuck and open up as a result. Golf shoes are equipped nowadays usually with plastic soles. They are sewn on to the frame or attached. The design of the shaft should appeal to the eye, the upper must be also water resistant and firmly wrap the foot. 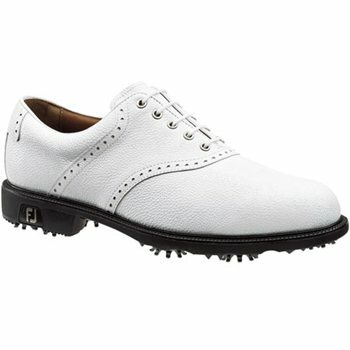 Does Anyone Still Wear Traditional Golf Shoes?